Nieuw Statendam carries forward the nautical heritage, signature service and classic style for which Holland America Line is known, while raising the bar for 21st-century elegance. Sister ship to Koningsdam, she's the second of the Pinnacle-class ships. Guests onboard Nieuw Statendam will love her interiors, featuring all the hallmarks of Pinnacle-class design: grand light-filled spaces, visual drama and sumptuous interiors inspired by the fluid curves of musical instruments. A beautifully appointed mid-sized ship with elegant lines, she proudly reflects more than 140 years of Dutch seafaring tradition. *Amenities may not be combinable with fares shown. Additional restrictions apply. For nearly 145 years, Holland America Line has been a recognized leader in cruising, taking our guests to exotic destinations around the world. If you are looking for some of the most spacious and comfortable ships at sea, award-winning service, elegant dining, extensive activities and enrichment programs and compelling worldwide itineraries, you've come to the right place. We are committed to our mission: Through excellence, we create once-in-a-lifetime experiences, every time. Today, Holland America Line's fleet of 15 modern classic ships offers more than 500 sailings a year visiting all seven continents. Cruises include both popular and less-traveled ports in the Caribbean, Alaska, Europe, Mexico, South America, the Panama Canal, Australia, New Zealand and Asia — as well as unique voyages to the Amazon, Antarctica and our extended Grand Voyages. Holland America Line is proud of its environmental program. The company earned its initial ISO 14001 certification in June 2006. As the internationally recognized standard for environmental management, ISO 14001 encompasses virtually every aspect of our ships' operations. 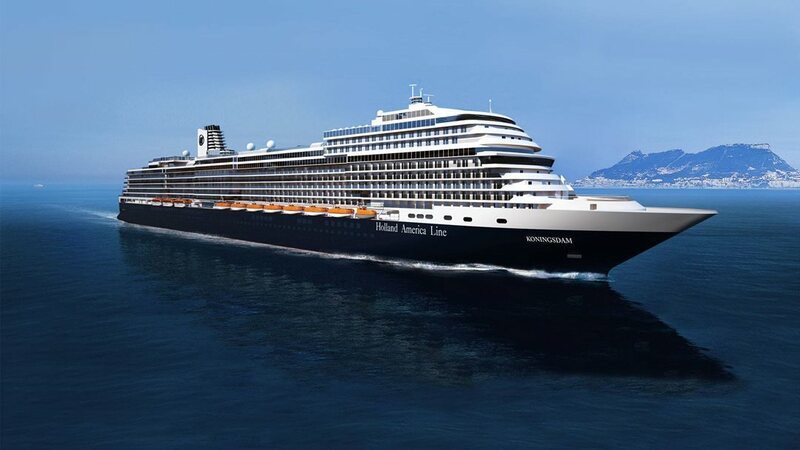 Holland America Line has been recertified to meet that standard again and again — in 2009, 2012 and 2015. Our commitment to it demonstrates our belief that the safeguarding of our guests, crews, ships and the environment in which we live and operate is not only the right thing to do, it is essential to the successful conduct of our business. Every Holland America Line employee is commitment to provide a truly extraordinary experience for our guests. We look forward to welcoming you aboard.